New and fresh designs await visitors at the annual Spring Flower Show at the Buffalo and Erie County Botanical Gardens, 2655 South Park Ave., Buffalo. 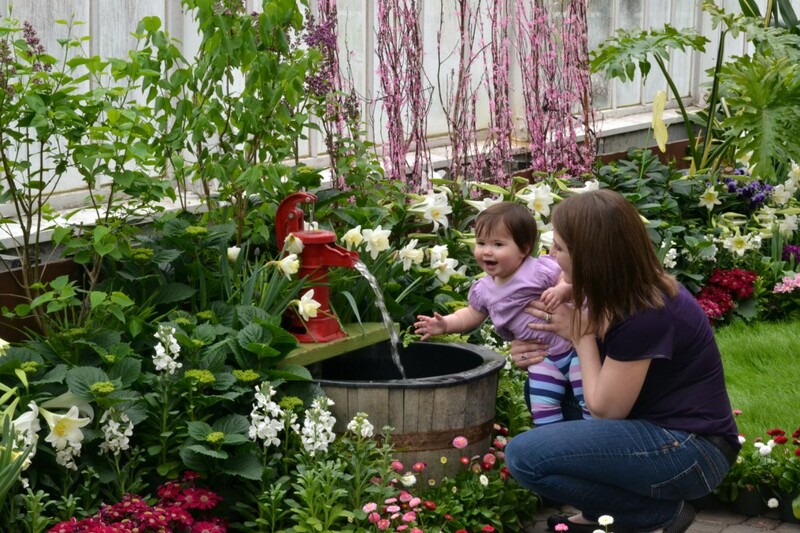 In the photo above, Shannon Delorme and her daughter, Brynn Jenkins, 11 months, enjoy the rustic fountain. Flowers take center stage in that panorama, but you can see swaths of long green grass behind Shannon and Brynn. That fresh grass makes you feel as if you have been transported to a tranquil meadow. What’s most noticeable as you enter the show is the strong fragrance of all the fresh blooms. Lilies and hyacinths, as seen in the photo at left, are perhaps the most fragrant. Also seen in the photo is cineraria, which adds a shock of electric blue. While you may have a few flowers budding in your garden right now, varieties that you won’t see for a few weeks are already in full bloom at the show. The bulbs for the show are planted in late October and November, then the pots are placed in a refrigerated room in the basement. Spring flowering bulbs usually require a rooting period of 12 to 15 weeks at temperatures between 41 and 48 degrees Fahrenheit in order to produce a good root system. 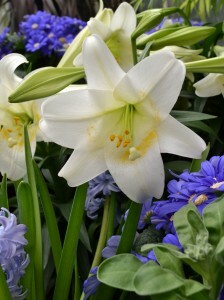 This is essential if the bulbs are to be “forced” into flowering. “Forcing” is the process that stimulates the bulb to bloom outside of its normal growing season. 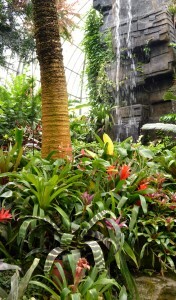 The Botanical Gardens holds its Spring Flower Show around Easter time each year. This year Easter falls on April 24, which is exceptionally late– Easter hasn’t fallen this late in the calendar year since 1943. Since we’re further along into spring this year, you may notice that lots of other flowers in the Botanical Gardens’ collection are blooming, too. 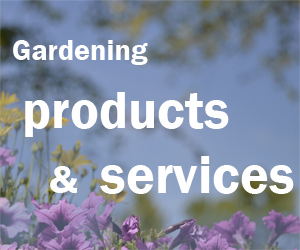 Enjoy the spring flowers, but make sure you check out all the collections so you don’t miss anything! In conjunction with the show, you can participate in a spring tradition and wear an Easter bonnet or Easter tie to the Botanical Gardens on the weekend of Easter, Friday, April 22 through Sunday, April 24. The Easter Bunny’s helper will choose many winners throughout the day and winners will receive a prize. There are many activities for children. The Easter Bunny will visit from 10 a.m. to 5 p.m. on weekends, April 16, 17, 22, 23 and 24. 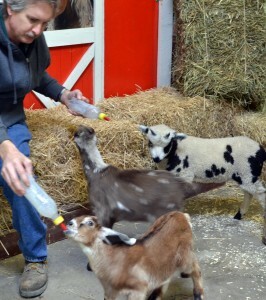 Farmer Brown’s Petting Zoo is open from 10 a.m. to 4 p.m. daily. Visit baby goats, lambs, baby warthogs (yes, warthogs) and other animals. At left, Todd Zintz, director of facilities at the Buffalo and Erie County Botanical Gardens, feeds two goats and a sheep. The show is open from 10 a.m. to 5 p.m. Monday through Sunday. Admission is $8 for adults, $7 for seniors aged 55 and over and for students 13 and older with ID, $4 for children ages 3 to 12, and free for members and children under age 3. For more information, go to the Botanical Gardens’ website or call 827-1584.